Advania and Storegate recently decided on a unique concept for cloud storage – Storegate Enterprise. The layout of the concept is that Advania installs SOSA, the Storegate cloud storage platform, at a Swedish Advania data centre. This gives Advania the possibility to take full responsibility for services provided by Storegate towards their own customers. – Storegate supplies cloud serviced for safe storage of digital information, both branded Storegate and via so called White Label- solutions, where operators and service providers can offer Storegate applications using their own brands. 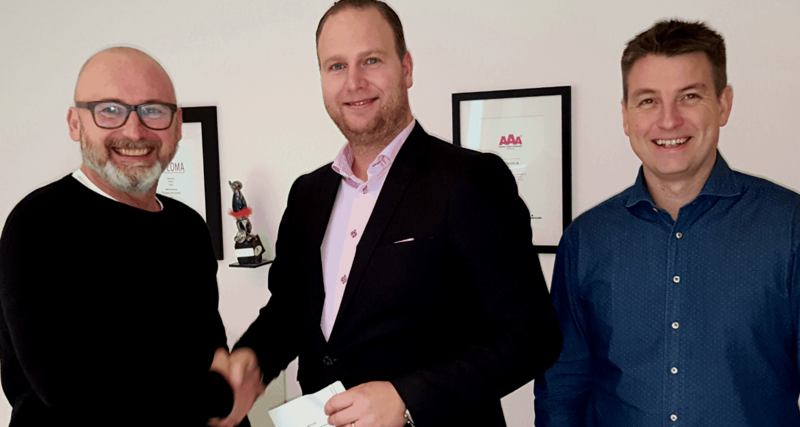 However, the collaborative deal with Advania is something all new, this is our first external installation using the Storegate brand, says Matz Karlsson, CEO at Storegate. Since 2003, Storegate offers cloud services and applications for secure storage. Customers are found both in Scandinavia and globally, and range from small businesses to large companies – often and as in this case, service providers. As such, Advania specializes in a market with very high demands on access and security. – It’s complicated for us to reach large businesses with our services as they often choose a total IT partner, that sometimes even supply entire office concepts. In this concept, our services will be part of Advanias new cloud Portal Advania Marketplace. Being run entirely by Advania, with customer data stored at Advania data centres, the service is a natural part of their 24/7 service commitment. – It’s both exciting and fun having started this collaboration with Storegate, says Daniel Albertsson, Nordic Manager Cloud Services. Storegate offers a wide range of platform independent storage solutions and their sought-after Team gives businesses better control of both data and users, as it enables working directly in the cloud. A benefit especially when working with external partners and suppliers. And of course, it is a bonus that Storegate is an all-Swedish supplier of cloud services, Daniel concludes.